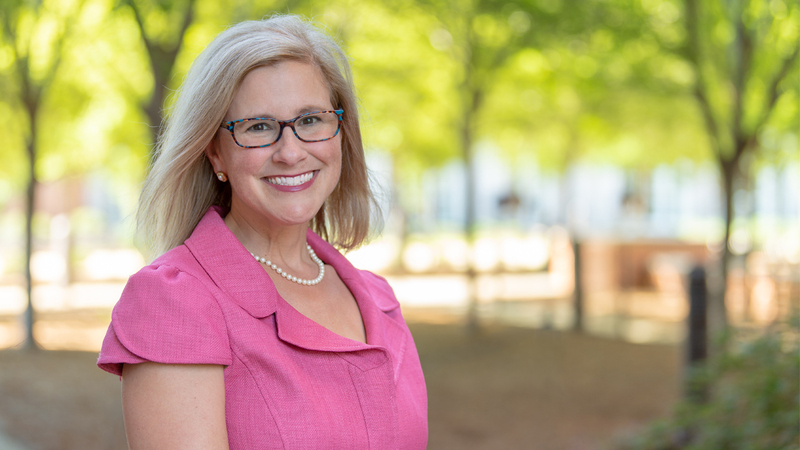 Apryl Mullins has been named assistant director of the Office of Professional and Career Development in the Samuel Ginn College of Engineering. The Samuel Ginn College of Engineering has established a new Office of Career Development and Corporate Relations. Formerly known as Career Connections, the new office will be temporarily located in the Shelby Center until it is moved to the highly anticipated Brown-Kopel Engineering Student Achievement Center upon its completion in May 2019. The purpose of this office is to provide Auburn engineering students with professional development skills, give them experiential education opportunities, educate them regarding career options available in each of their fields and provide them with access to companies eager to hire Auburn engineers. "The Office of Professional Development and Corporate Relations is a vital addition to the Samuel Ginn College of Engineering," said Christopher B. Roberts, dean of engineering. "Our ability to facilitate a connection between students and employers will enhance our students' education, providing them with the real-world experience and access necessary in today's competitive job environment." Apryl Mullins has been named assistant director of the new office. Mullins comes to the college with almost 20 years of experience in the Office of Development and Office of Alumni Affairs at Auburn University, including 13 years in the College of Engineering. "I have always had a passion for the College of Engineering and its vision to become the best student-centered engineering educational experience in the nation," Mullins said. "I'm excited to help build a program that will benefit both our students in their professional development and our corporate partners in their recruiting needs." For more information about CDCR, contact Mullins at mulliat@auburn.edu or (334) 844-2578.